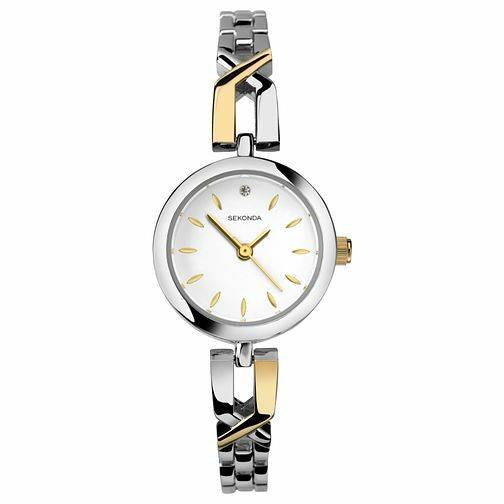 Mix colours and styles with this sophisticated ladies' watch from Sekonda. The silver colour and gold plated two tone bracelet is perfectly complimented by the matt white stone-set dial. The leaf-shaped gold hour markers add a feminine feel to this gorgeous timepiece.